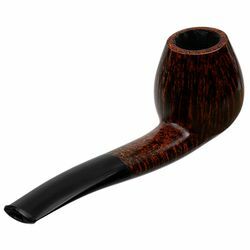 With just the slightest of elegant bends, this piece provides a wonderment of contrast grain running vertically for 360 degrees. 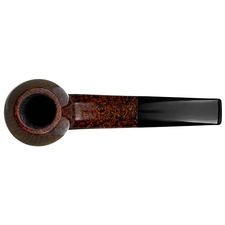 Birdseye adorns the classically Danish, understated, domed rim and underside of the pipe. 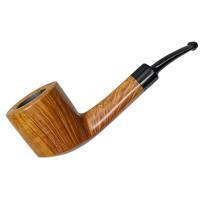 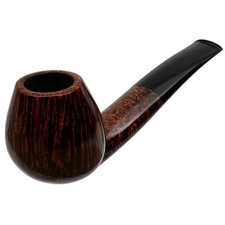 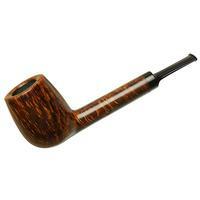 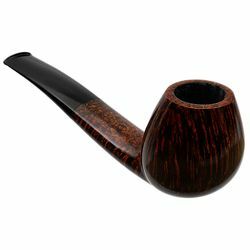 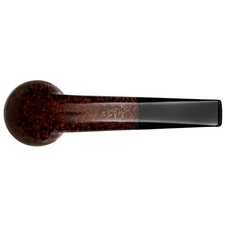 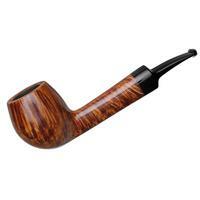 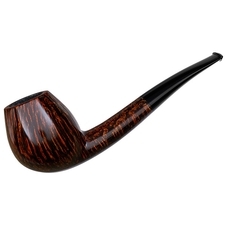 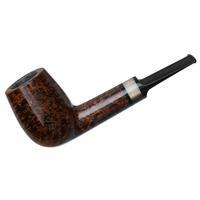 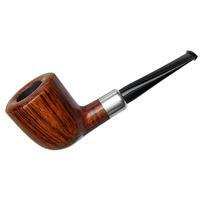 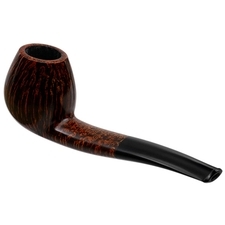 The transition from bowl to shank is classically Danish as well, with a more defined Danish demarcation than typically found on English or Italian pipes. 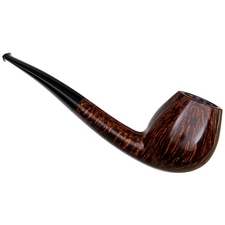 An almost subliminal, vertical curve to the shank is accentuated with a likewise subtle bend to the stem. 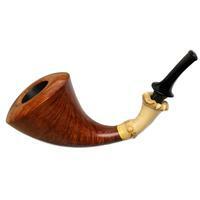 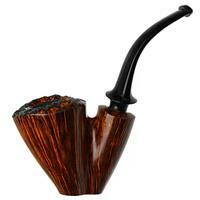 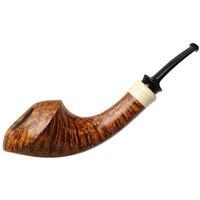 A visual feast balanced for efficiency, this is a pipe to enjoy looking at as well as smoking.